Medium straw color; lime, flowers, petrol on the nose; candied tropical fruits, peach, key lime, lemon meringue pie on the palate. 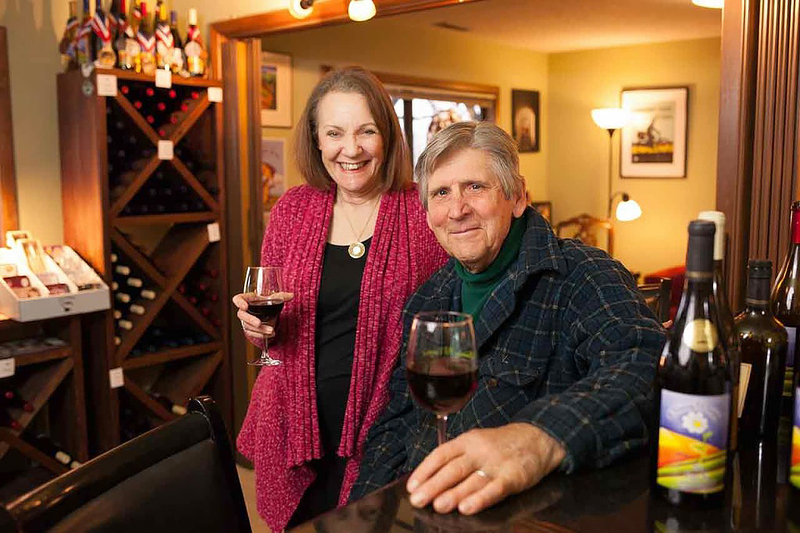 The winery owners’ back story is charming. They met more than 40 years ago when Jim worked for the company involved in legendary children’s shows “Sesame Street” and “The Electric Company,” as well as notable concerts filmed in Central Park. Holly was his secretary for a while. It wasn’t until 2006, after each of them had moved to the Pacific Northwest, that they met again, and this time cupid’s arrow hit home. The company’s website gives greater detail of their love story. 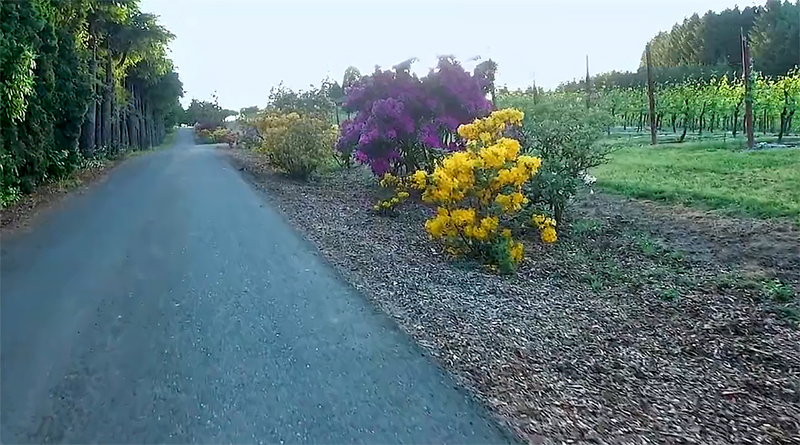 Romantics should visit and enjoy their video. 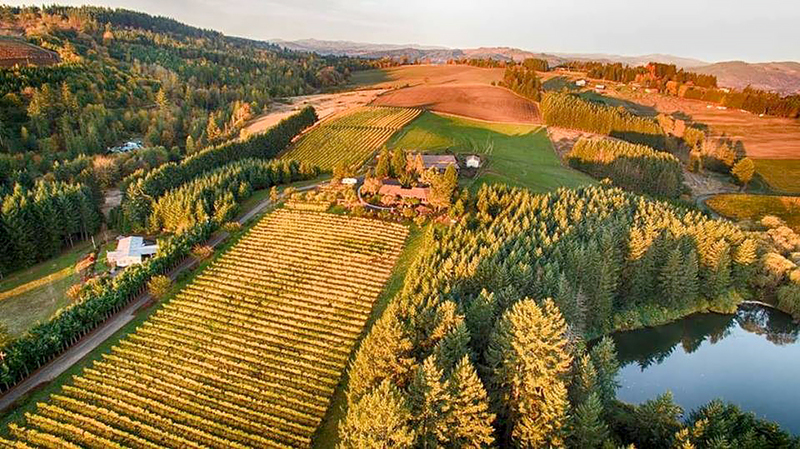 A Blooming Hill Vineyard is better known for its pinot noirs and a pinot gris-riesling-chardonnay blend called “Mingle”. This fills a niche in their wine repertoire. Riesling is an amazing grape. On the one hand, if allowed to fully ripen, it produces great sweetness. In the past that was a proper way to balance riesling soaring acidity. Riesling may be the world’s most versatile wine grape: it can run the spectrum from extremely dry with cutting acidity, all the way to ice wines that are sweeter than honey. 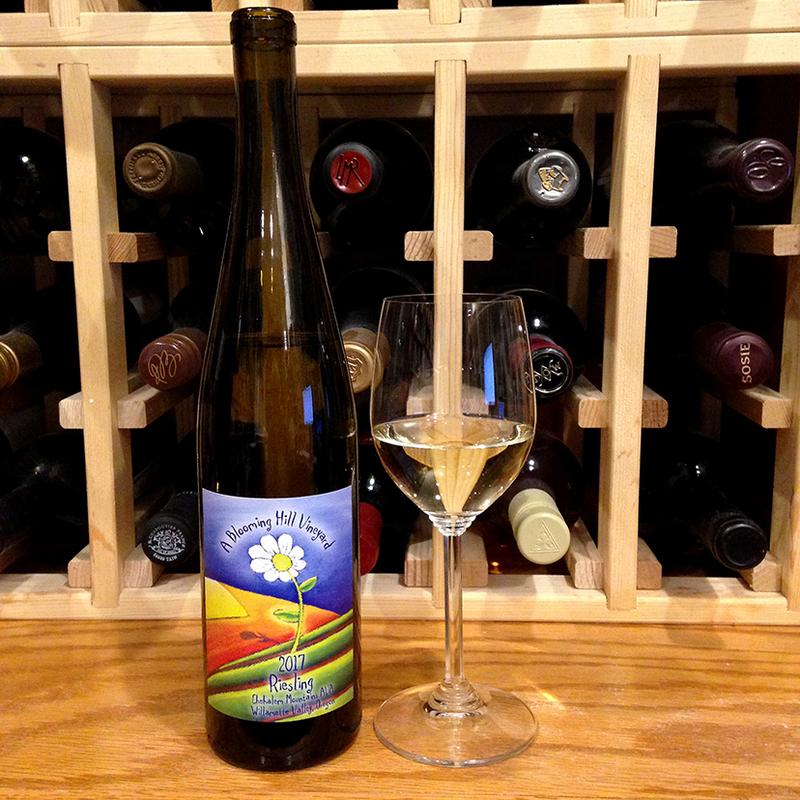 Riesling makers have focused to dry riesling this century, but that holds perils, too. Makers comment making a dry riesling is much more difficult than a sweet one. 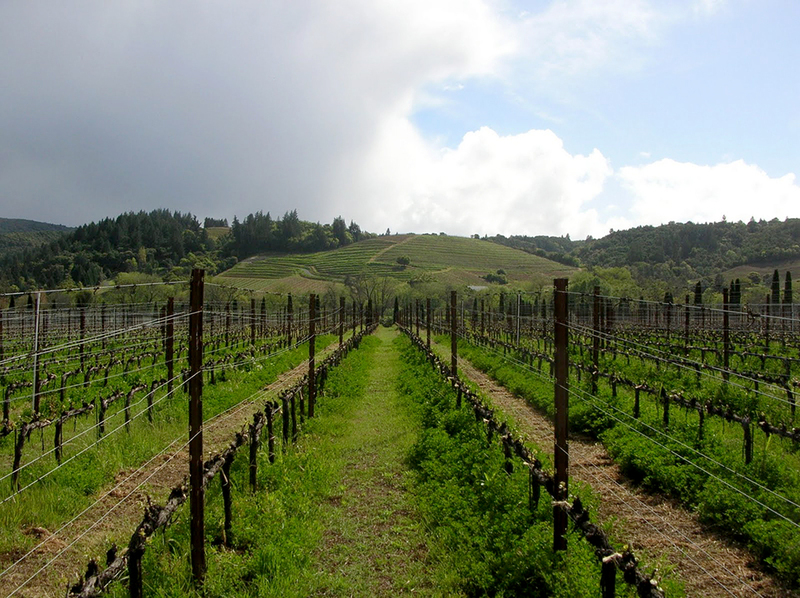 One noted: “I always call dry wine ‘naked.’ Sugar provides a very nice cover to mask flaws and deficiencies in a wine.” That is not what is happening with A Blooming Hill Vineyard Riesling. This clearly is not a dry riesling, but it is not a sweet riesling, either. 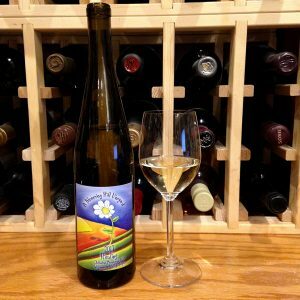 In fact, it likely fits the profile of historic riesling, before cellar science gave makers to tools to shape fermentation and engender the current vogue of dry riesling. Done right, all the styles can be delicious, as this effort is. 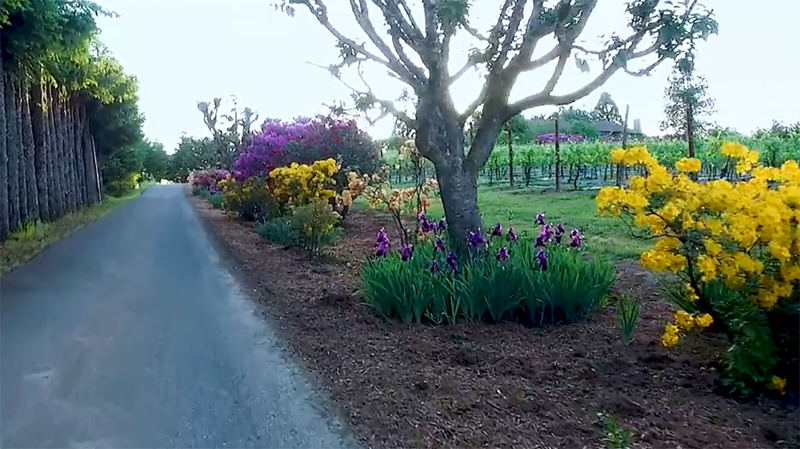 A Blooming Hill Vineyard with some nice videos. You will get a flavor of the operation.